The South African Film and Television (SAFTA) Awards is an annual South African awards ceremony which honours, celebrates and promotes the talent and accomplishments of the South African film and television industries in the past year. The inaugural SAFTA Awards were announced in September 2006 by the National Film and Video Foundation (NFVF) and were broadcast in a TV special on SABC2 on Saturday 28 October, 2006. In 2005 representatives of the South African Film and Television industry resolved to come together under the auspices of the National Film and Video Foundation of South Africa (NFVF) to establish the annual South African Film and Television Awards, the SAFTA Awards (SAFTAs). The primary objective of the SAFTA Awards is to honour, celebrate and promote the creativity, quality and excellence of South African Film and Television talent and productions, and to encourage entrepreneurship and the development of new talent within the industry. Members of the SAFTA committee comprise of representatives from NFVF, SABC, ETV, Mnet, Sterkinekor, Nu-Metro, South African Screen Federation, the IPO and Black Filmmakers Network. The NFVF is a statutory body mandated by a progressive act of Parliament to spearhead the equitable growth and development of the South African film and video industry. The NFVF is guided by a council of 12 members, comprising highly respected film professionals with diverse expertise in the film and television industry. This trophy is designed to reflect the contribution of our creative and artistic talent and to strengthen aligned human capital of the South cinema and television arena. It aims to reflect the African values of our country, create a benchmark for the recognition of quality, support the development of the cultural body of knowledge of our country and help stimulate interest and demand in South African product to bolster commercial viability and aid socio-economic growth. The creative concept of this award is built on the strength of the collective effort and community that is inherent to South Africa. International awards tend to award the individual only, but it is the intent of this award to celebrate the individual’s effort in the context of the collective. The director or any other practitioner singled out for excellence can only do so through the support of the team he works with. The faces on the statues are derived from clay statues found near Lydenburg, referred to as the Lydenburg Heads. These artifacts of African heritage are dated to 800 AD and are regarded to refer to the artistic excellence of ancient African civilizations. The Lydenburg Heads specifically represent visual creative arts, performance and drama. The use of the three figures describes the collective energy of the team and the recognition of the individual as part of the team. The three figures on the trophy are found on objects that recognize the stature of venerated members of African communities, those who are regarded as leaders in their fields. These objects are designed as objects of recognition and of value. The reference to “ The Horn”, refers to the wealth aspect of cattle and the source of wealth itself. 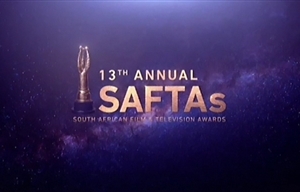 The 5th annual SAFTA awards were not televised and were awarded on two separate nights: the first ceremony of the 2011 Awards took place on 20 February 2011 at Madame Zingara's, Melrose Arch in Johannesburg and awarded television shows and films in the non-fiction categories, which included documentaries and variety shows. The headline ceremony took place on Sunday 27 February, 2011, also at Madame Zingara's, following the previous week's non-fiction ceremony and awarded television and film recipients in the fiction categories. This was the only year in which the awards were not televised. The 2019 SAFTAs air live on SABC2, Dance+ returns to Star Life and Marvel's Cloak & Dagger are superheroes on City.